USA Tank 30072 for 50th Anniversary Special? The railway has well documented over the last few months, the restoration to working order of one of the locomotives at the head of the Re-opening Special in 1968, Ivatt 2-6-2T 41241 and a Boiler Tube appeal is currently open to help achieve this goal. However, many will be wondering, “What of 72?”, the second locomotive on that momentous day? Since last in traffic, the Railway’s requirements have changed so much, it was very difficult for the Railway to prioritise the overhaul of the locomotive over other more operationally flexible options. 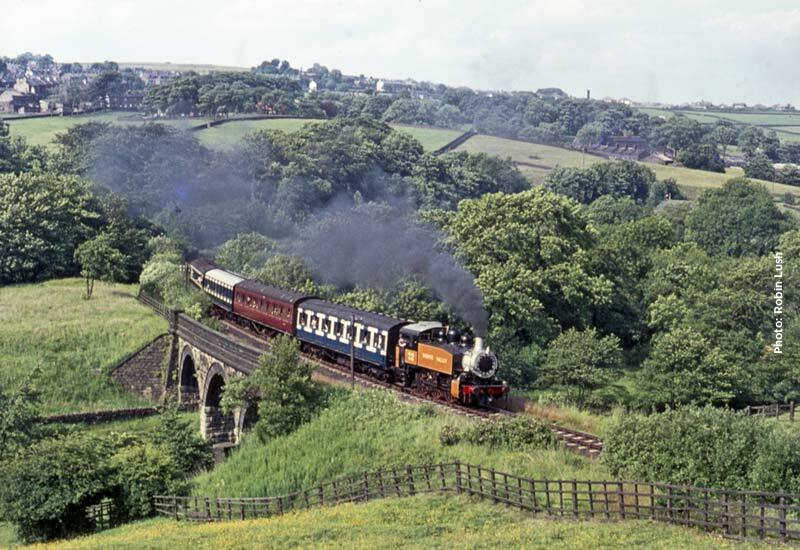 In the first twenty or so years of operation, the Worth Valley Railway used much smaller locomotives on many of its services than is the case today. Trains were usually composed of compartment stock rather than corridor coaches and did not always include the heavy buffet cars of today. Indeed a very high degree of enginemanship was required to manage five coach trains with the smaller locomotives. We are delighted to announce, however, that possibly we may be able to realise the long held ambition of seeing both locomotives double head the 50th Anniversary Special in 2018. As many will know, 72, BR number 30072, is not owned by the railway but by Richard Greenwood, co-owner of 34092 ‘City of Wells’. 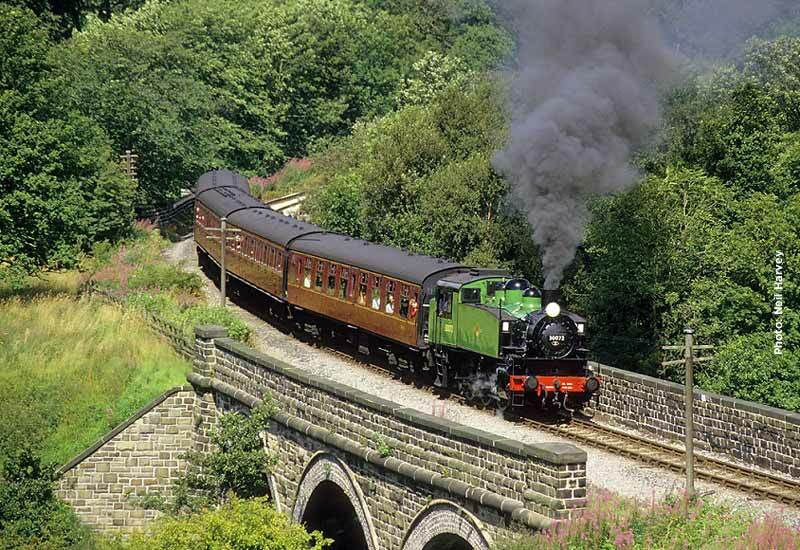 With little prospect of seeing 72 steam again, Richard is selling the locomotive to Andy Booth, owner of a number of locomotives, including the Lancashire & Yorkshire ‘A’ Class 0-6-0 no. 1300. Once restored, 72 will be one of the pool of locos Andy hires out to preserved railways. The locomotive is moving to the Ribble Steam Railway at Preston for restoration to working condition. It is hoped to complete the overhaul in time for 72 to double-head the KWVR 50th anniversary train with 41241 in 2018. Part of the overhaul may include changes to the boiler tube layout to enhance its steaming capacity. 72 is due to leave the Railway shortly, and, although sad to see her leave, we are delighted at the prospect that Andy could well bring steam pressure back to the cylinders in time for that great celebration in 2018.